With a stay at Rodeway Inn Nashville, you'll be centrally located in Nashville, within a 15-minute drive of Grand Ole Opry and Nissan Stadium. 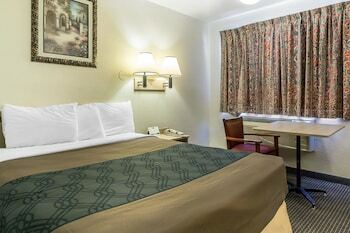 Featured amenities include a 24-hour business center, multilingual staff, and coffee/tea in a common area. Free self parking is available onsite. With a stay at this condo in Nashville (West End), you'll be within a 10-minute drive of Tennessee State Capitol and Parthenon. With a stay at this condo in Nashville (Hillsboro Village), you'll be within a 15-minute drive of Vanderbilt University and Country Music Hall of Fame and Museum. With a stay at this condo in Nashville (East Nashville), you'll be within a 10-minute drive of Nissan Stadium and Country Music Hall of Fame and Museum. Limited parking is available onsite.